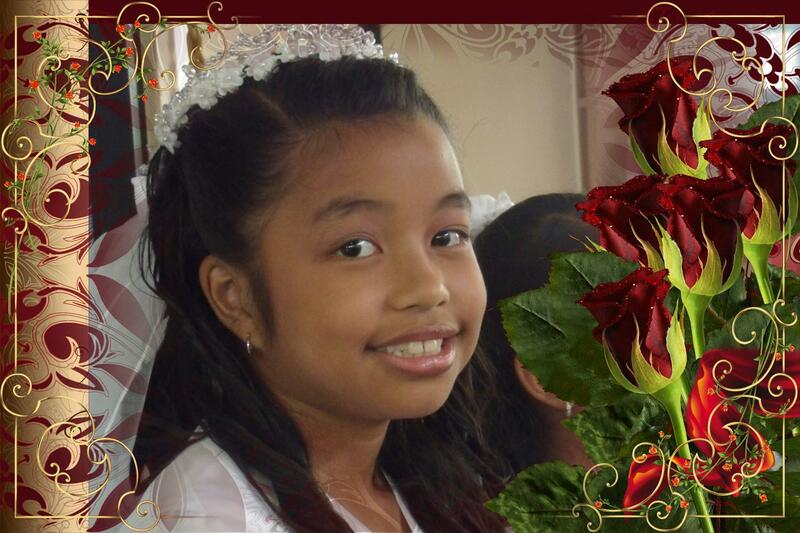 First Holy Communion means receiving Jesus Christ. It means a part of him is inside of me. Jesus Christ tells me the difference between right and wrong. Jesus reminds me that he is the son of God. 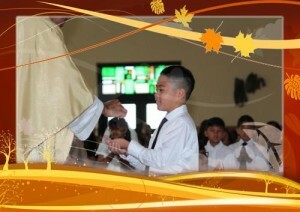 Receiving him is the beginning of First Holy Communion. First Holy Communion means I’m practicing to be a Christian. 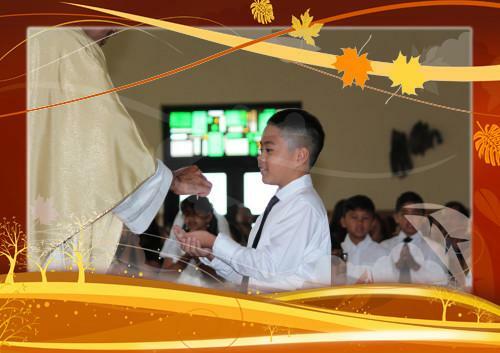 Practicing to be a Christian means receiving one of the seven sacraments. 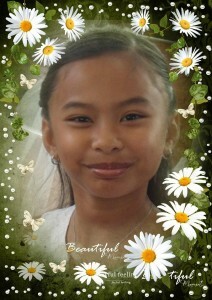 I’m practicing to be a Christian by asking myself if I am ready for First Holy Communion. It also means that I feel I need to be better at helping people. Practicing to be a Christian means I’m a child of God. I felt nervous at the beginning and then I became more nervous when it was almost time to receive the Body of Christ. I felt even more nervous when we started to fall in line. I was nervous because I was so excited to finally receive the Body and Blood of Christ. I have never received Holy Communion before. I’ve only seen others and my parents go to communion, but I myself have never gone. 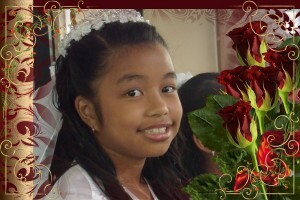 After receiving Holy Communion, I really felt happy and grateful to Jesus for being inside me. I am also very grateful to my parents, teacher, other family members, and my best friends for being there with me.